VIVISUN switch bodies are available in three configurations to meet your application requirements; 1) High Capacity, 2) Compact and 3) Short. 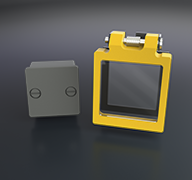 Each of the sizes can be configured as an Annunciator, Momentary Action Pushbutton, or Alternate Action Pushbutton. Each of the switch body configurations can be specified with either a Standard Square or Large Rectangular lighted cap at the time of order. VIVISUN switch bodies are fully independent from VIVISUN caps and can be ordered together or separately. Separable caps allow for a simple Incandescent-to-LED upgrade without replacing the installed body. VIVISUN switch bodies use captive mounting lugs, a mounting spacer and a reversible mounting sleeve (standard square configurations) to accommodate lighted overlay panel and panel thickness from 0.032'' to 0.187'' (0.81mm to 4.74mm). 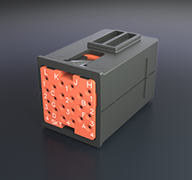 High Capacity and Compact switch bodies require the use of a keyed, CTS Connector Plug for termination. 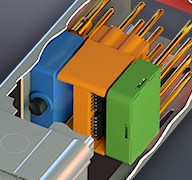 Switch bodies that include NEXSYS components use a different keyed Connector Plug than non-LOGIC switch bodies. 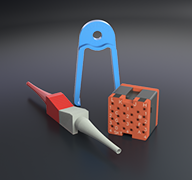 Short bodies are available with solder turret, solder spade or wire wrap termination options. Electromechanical switches inside of VIVISUN switch bodies are double-throw, snap action switches. They are available as Single-break or Double-break with either Silver or Gold contacts. They are rated up to 7.5 amps and are qualified to MIL-PRF-8805/101 category I or category II. They have a minimum life of 50,000 cycles at rated loads. See product datasheet for additional information. High Capacity bodies have four internal positions that can accommodate up to 4 electromechanical switch poles. Alternatively, the internal positions can accommodate Series A, Series C, Series N and Series R NEXSYS® components. 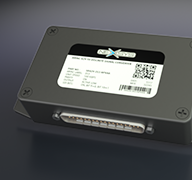 For more details on NEXSYS Component Technology in a switch body, see NEXSYS Component Options. Compact bodies have two internal positions that can accommodate up to 2 electromechanical switch poles. Alternatively, the internal positions can accommodate two of any Series A NEXSYS® components, in place of electromechanical switches. If an application requires the use of a Series C, N or R NEXSYS component, a High Capacity switch body or NEXSYS Module must be used. For more details on NEXSYS Component Technology in a switch body, see NEXSYS Component Options. Short bodies have two internal positions that can accommodate up to 2 electromechanical switch poles. Short switch bodies cannot be configured with NEXSYS® components.